I’m attorney Mike George. When you come to The Law Office of Michael C. George in Pittsburgh with your medical malpractice or personal injury case, I will personally handle every aspect of your claim. I am an experienced trial advocate for injured people, an active participant in the Pennsylvania legal community and a recognized teacher and lecturer. 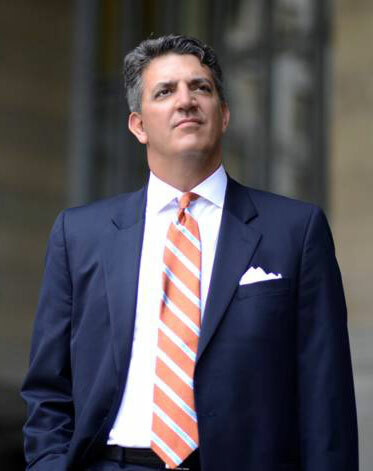 Mr. George is a sole practitioner in Pittsburgh, Pennsylvania where he is engaged in the representation of plaintiffs in personal injury matters with an emphasis in medical malpractice, products liability and motor vehicle collisions and has obtained several million dollar verdicts and settlements in medical malpractice actions. He received his B.A. in political science from Bowling Green State University and his J.D. from Duquesne University. Mr. George is a member and serves on the Board of Governors for the Pennsylvania Association for Justice and the Western Pennsylvania Trial Lawyers Association. He also is an elected Fellow of the Academy of Trial Lawyers of Allegheny County and recently completed his term on the Academy Board of Governors. He is also a member of the American Association for Justice (formerly the Association of Trial Lawyers of America), Allegheny County and Pennsylvania Bar Associations, and the Million Dollar Advocates Forum. Mr. George is also an adjunct professor of law at the University Of Pittsburgh School Of Law, where he teaches a class on expert witnesses and at the Cyril H. Wecht Institute of Forensic Science and the Law at the Duquesne University School of Law. Mr. George is also a frequent lecturer for the Pennsylvania Association for Justice and the Western Pennsylvania Trial Lawyers Association on medical malpractice and general civil litigation matters.